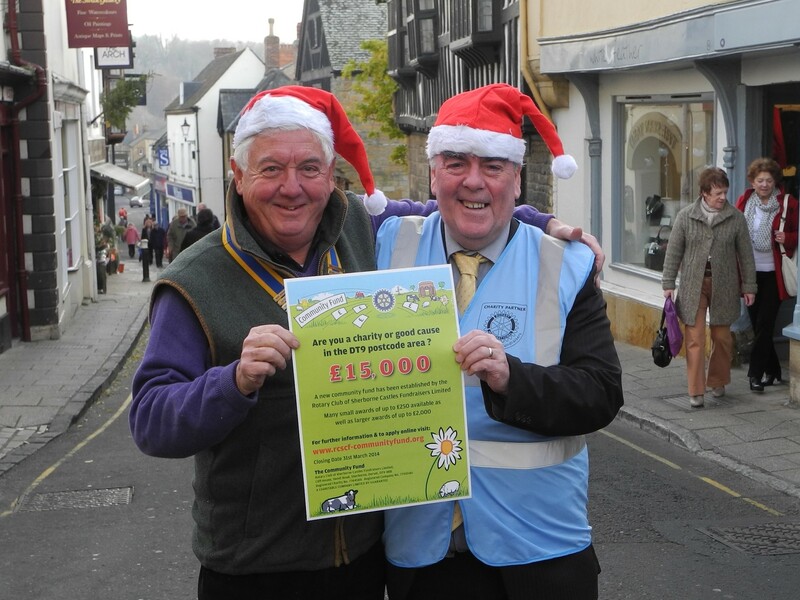 A new charity fund has been launched by our in club fundraising company Rotary Club of Sherborne Castles Fundraisers. The Community Fund has an initial £15,000 to award for 2014. President John joined up with Ian Dodds a trustee and secretary of Rotary Charity Fundraisers in Sherborne on Wednesday for the launch . The sum will be split into four levels of awards, up to £250, up to £500, up to £1000 and up to £2000. All the awards will go to voluntary and community organisations, groups and individuals within the DT9 postcode area which has Sherborne at its heart. Over the past ten years our fundraising charity Rotary Charity Fundraisers has raised over £500,000 for charities and good causes. Each year a small portion of these funds has been set aside to enable The Community Fund to build up to a level where it could begin to operate independently. It has now reached a level where the first annual awards can commence. All applications for awards from The Community Fund are made online. Applicants can take as long as they like and make as many visits to their application on the website as they feel they require. Only when they are happy that they have filled in the form to their complete satisfaction do they need to submit it for consideration. The Community Fund will announce the winners of this years awards in early April 2014. Previous Entry Rotary Youth Speaks – 4 schools, 7 teams, brilliant!